Usually when someone feels they have been ripped off on a car deal, they will take their rage to Facebook or perhaps the local news might get contacted. If it is really bad they may get an attorney involved. A Rhode Island man decided to settle the score by smashing the seller in the head with a big piece of wood. 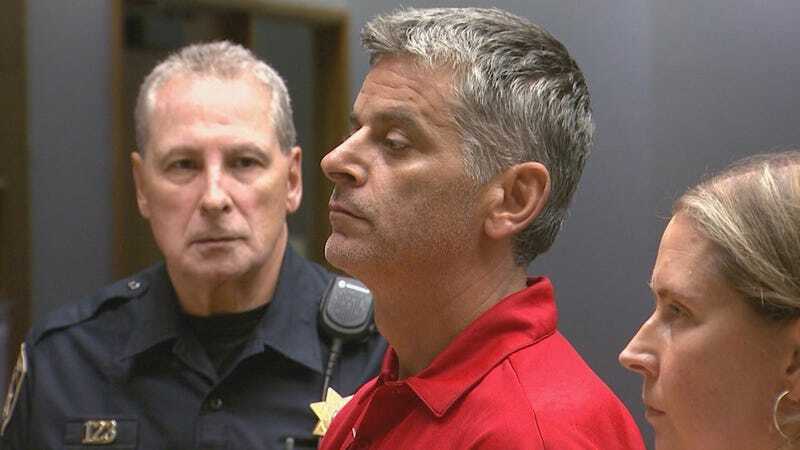 According to an AP report, 48-year-old Daniel Lastarza pleaded not guilty to murder and a felony assault charges in a Providence Superior Court on Wednesday. Prosecutors say Lastarza attacked Jonathan Stack, 33, of Glocester in July. The conflict apparently started when Stack, a junk used-car dealer, sold Lastarza a vehicle for $400. When Lastarza found out that the truck did not belong to Stack he attempted to get his money back. The argument moved to a local bar where Lastarza allegedly struck Stack with a 2x4 piece of wood. Stack died from his injures a few days later. A local news affiliate says this incident was not the first time the Stack had a run-in with the Lastarza family. In December of 2010 Lastarza's son, also named Daniel was allegedly assaulted with a stapler by Jonathan's Stacks. At the time Lastarza was accused of vandalizing one of the cars at Stack's junk yard shop. The elder Lastarza is being held without bail.